The Canadian Academy of Recording Arts and Sciences (CARAS) announced on October 1 that the JUNO Awards is now accepting submissions for Aboriginal Album of the Year (sponsored by Aboriginal Peoples Television Network). The early bird submission deadline is 5:00 p.m. EST on October 24, 2014. The final submission deadline is 5:00 p.m. EST on November 13, 2014. Tanya Tagaq's latest release, entitled Animism, earned the ground-breaking Inuit throat singer the Polaris Music Prize for the best Canadian album of the year based on â€œartistic merit without regard to genre, sales history or label affiliation." The announcement was made at a gala event in Toronto on September 22, where Tagaq also took the stage for a moving performance of "Uja" backed by a 40-member choir. The biggest party of the APCMA weekend is set for Friday, September 12 at the Pyramid Cabaret in Winnipeg. Nominees Leonard Sumner, Ghost Town Orchestra, and Inez Jasper are set to take the stage, along with fan favourites Rescued by Dragonflyz. Local party legends Primetime Empyre will be closing the night with a 90 minute DJ set starting at 12:30am, which will keep everyone on the dance floor. Drezus, Eekwol, Inez Jasper, Dani and Lizzy, Crystal J, Manik, Os12, Beka Solo, and Tommy Da are only a handful of the artists set to participate in the Native Hip Hop Festival's second annual takeover of Vancouver this weekend. Aboriginal Music Week 2014 starts on Wednesday! The sixth annual Aboriginal Music Week kicks off with the Opening Night Reception on Wednesday, August 20. The event will feature an exclusive set by perhispanico and trap tribal creator DJ Javier Estrada for 75 lucky guests. Estrada is set to take the stage at 8pm and has 120 minutes Indigenous-infused global bass ready for the night. Please download (right click and hit save) and share a couple or all of the Aboriginal Music Week 2014 concert posters on your Facebook, Twitter, Instagram, and other social networks. We're all set for a great week of concerts and we're super excited to get everything up and running. Aboriginal Music Week and kimiwan 'zine are partnering to bring Winnipeg one of the biggest parties of the summer. The Saturday Night Summer Jam will provide a full night on the dance floor, set to selections by local party legends Primetime Empyre, Opaskwayak's DJ Miss Vee, and DJ Javier Estrada of Generation Bass and Mad Decent. 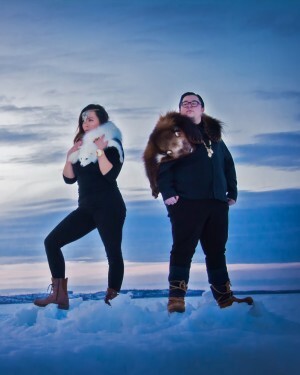 Native innovators, Mob Bounce, will be making their Winnipeg debut at the event, performing hip hop lyrics set to beats laden with traditional rhythms and vocal samples. Aboriginal Music Manitoba is excited to announce the full lineup for Aboriginal Music Week 2014. The festival, now in it's sixth year, will include three big community celebrations, six workshops for youth, a lunch hour showcase, two big concerts at The Cube in Winnipeg's Old Market Square, two nightclub concerts, two film events, a series of music management consultations, and two of the only networking events for the Aboriginal music community in Canada. A Tribe Called Red have been coming to Winnipeg since Aboriginal Music Week 2010 so we figured that they're probably the best folks to provide some insider information about our great city for any first time performers or out-of-town guests intending to join us this summer. Aboriginal Music Week is seeking applications from First Nation, MÃ©tis, and Inuit crafters, visual artists, and retailers interested in setting up 10x10 booths at The Cube in Winnipeg's Old Market Square during the Indigenous Music Without Borders presented by APTN concerts on Friday, August 22 and Saturday, August 23. The concerts are set for 6 p.m. to 11 p.m. nightly.